A former law school dean who served as mayor of Chapel Hill and a history professor who directs UNC’s honors program were recognized Friday with the GAA’s Faculty Service Award. The GAA Board of Directors presented the award to former dean Kenneth Broun and professor James Leloudis ’77 (’89 PhD). Established in 1990, the award honors faculty members who have performed outstanding service for the University or the association. Broun earned undergraduate and law degrees from the University of Illinois at Urbana-Champaign before coming to the UNC School of Law in 1968 as a visiting assistant professor and joining the faculty full time in 1969. He was dean from 1979 to 1987 and during his tenure further diversified the faculty by adding more female professors. He retired in 2011 as Henry Brandis Professor of law emeritus. Among his broader University service, he was on the chancellor search committees that led to the hiring of Holden Thorp ’86 and Carol L. Folt. Broun co-founded the National Institute for Trial Advocacy, which taught law students practical skills through exercises in cross examination, direct examination, jury selection and closing arguments, and UNC became one of the first law schools to incorporate such training into its curriculum. He established a clinical law program that enabled students to practice their craft with clients who otherwise would not be able to afford a lawyer. Leloudis came to UNC as an undergraduate and left only to pursue his master’s degree at Northwestern University, returning to earn his doctorate and join the history faculty in 1989. Since then he has taken on many responsibilities in addition to teaching. He is the Peter T. Grauer Associate Dean for the Honors Carolina program and the founding director of the James M. Johnston Center for Undergraduate Excellence. He serves on the Undergraduate Admissions Advisory Committee and oversees the Office of Distinguished Scholarships — including the Burch Fellows Program, the Winston House European Study Center and the Washington Seminar in Domestic and International Affairs. 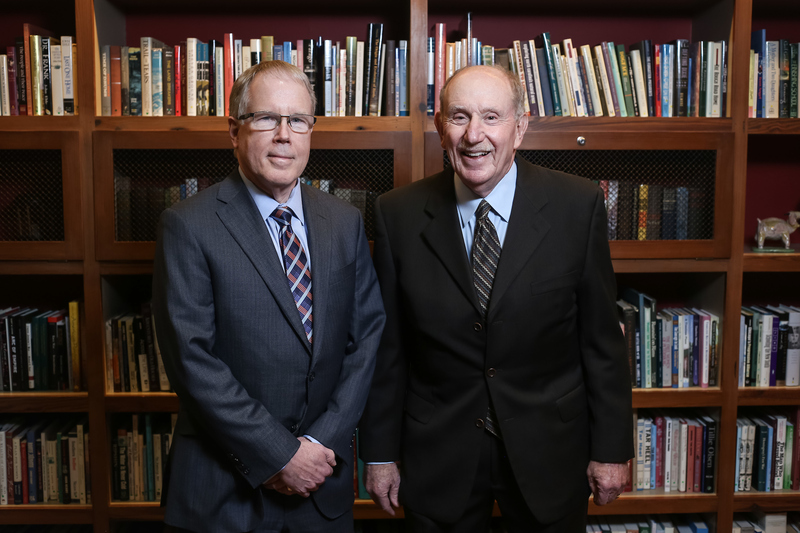 Leloudis co-chairs the chancellor’s task force on the University’s history.